New York City is truly a gluten free mecca. Actually, NYC is the first place I traveled to when I originally had to go gluten free back in 2012. I remember that trip vividly – I had only been gluten free for about six months (filled with many cross contamination experiences and a lot of sickness and frustration). I was living on bland salads at my college’s dining hall and dreading travel to a new location. Then I arrived in New York City to a huge array of high standard gluten free restaurants serving safe food that tasted … GOOD. 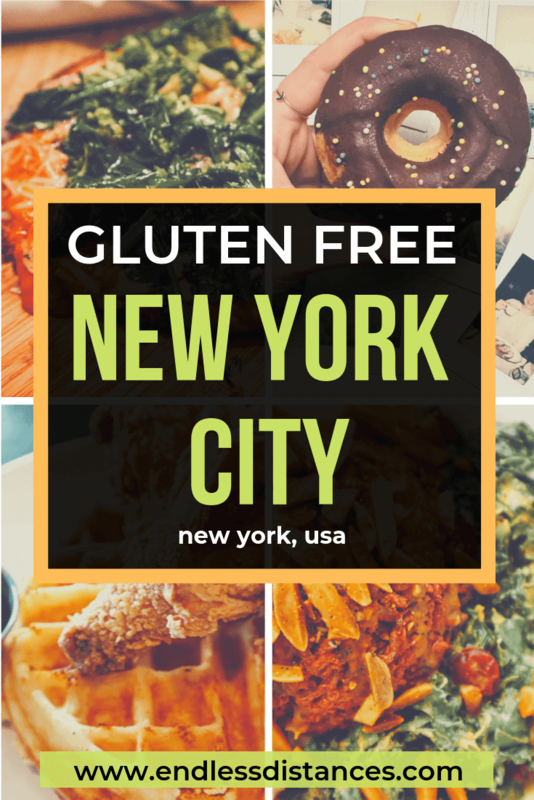 The gluten free restaurants NYC scene has grown exponentially in the passing years, just as awareness of celiac disease, and the pop culture and scientific research on gluten free lifestyles have grown too. Yet, some of those original restaurants still remain. I have been back to NYC so many times over the passing years, now having both best friends and family living there. Each time I love revisiting my old favorites, and exploring new gluten free options. So, this guide has really been in the making for as long as I have been gluten free myself. After my most recent trip to NYC, I’ve decided it’s time to share that knowledge! Below you will find my favorite gluten free restaurants in NYC. From the 100% gluten free restaurants and bakeries, restaurants with gluten free options, places to shop for gluten free options, and more. I’m also including (at the bottom) links to two incredible bloggers who have helped me on this journey discovering gluten free restaurants in NYC. And finally, you can find my gluten free restaurants NYC map at the bottom of the post (as usual!). Enjoy! All of the following restaurants are dedicated gluten free establishments. I have eaten at ALL of them myself so I can personally vouch for them. To me, this is the queen of gluten free restaurants in NYC. It’s the first gluten free place I ate in NYC back in 2012 (and it’s still going strong as of 2019!). I really fell in love with gluten free travel thanks to Risotteria Melotti…it all came down to the moment they gave us complimentary gluten free breadsticks! As you may have deduced, they make most of their products from naturally gluten free risotto flour. I really recommend a visit here. Senza Gluten is another powerhouse of the gluten free restaurants NYC scene, and has been around for a long time. They serve 100% gluten free Italian food that is absolutely delicious and the best you’ll find (of the gluten free variety) outside of Italy. It is a bit pricy but if you are looking for a fancy sit down meal this is your place. Inday is a fast-casual dedicated gluten free restaurant. They take a definite New Yorker twist on Indian dishes. There are three locations in the city. We went to Inday GoGo which is in Urban Space 570, basically a little indoor market with lots of unique food vendors. It was perfect for what we wanted, and although my friend and I both ate at Inday GoGo, this would be an ideal place to take non-gluten free traveling companions as they get more choice. Honestly I love Inday and would eat here again and again! I want to profusely thank the Endless Distances reader who recommended The Little Beet Table to me via Facebook! This is another fast-casual dedicated gluten free restaurant with multiple locations across NYC. I was walking down the street when I passed it close to Rockefeller Centre. We were hungry so we just popped in! Other gluten free travelers know how rare this experience is… not having to hunt around for an appropriate restaurant! Anyway, the food here is stunningly healthy. There are so many yummy options it was hard to choose, but I went with a beet-based falafel bowl which was crispy and perfect. Bakeries are perhaps the most exciting thing to find as dedicated gluten free. You know, flour flying around and all. 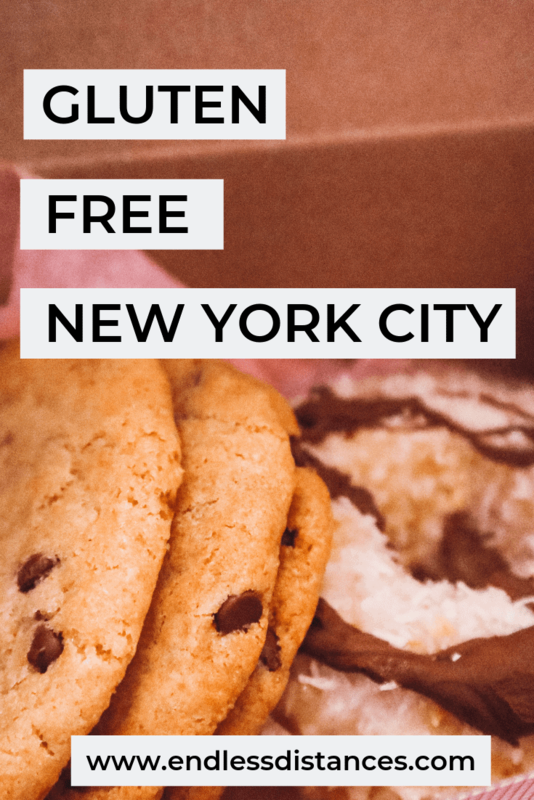 There are two standout gluten free bakeries in NYC that I can personally recommend! NoGlu is another dedicated gluten free bakery, and is actually under the same brand as the famous Parisian gluten free bakery of the same name (which I’ve also been to, and also LOVED). The NYC location is on the west side of Central Park. You can purchase a wide array of gluten free pastries and breads, all with a special French twist. The gluten free eclairs are life-giving, FYI. There are a lot of restaurants in NYC that cater to gluten free diners, yet aren’t actually 100% gluten free. These are some of the best – I’ve noted the few where celiacs should take precaution. Bloom’s Deli is your classic American diner with actually reasonable prices. This is probably my favorite gluten free establishment in NYC, partially because I’m a sucker for brunch, and partially because they are so damn good at the gluten free thing. Bloom’s Deli has a separate gluten free menu (with items such as gluten free toast, sausage, french toast, pancakes, hash browns, etc). In addition, they have incredible precautions in place such as separate gluten free prep space, gluten free toaster, staff training, gluten free fryer, and more. If you are celiac in NYC, you need to visit Bloom’s Deli for brunch. You won’t damage your stomach or your wallet. Melt Shop is a grilled cheese emporium. Take your pick of a dozen or so gourmet grilled cheeses, top it off with a milkshake and tater tots, and you’re a few steps closer to heaven (thanks to both cholesterol and your taste buds). They do provide gluten free options such as gluten free bread for the sandwiches and a separate fryer for the tater tots. However I will say, especially to celiacs and sensitive gluten intolerants, to act with caution. Question your server and ensure they use separate prep surfaces and clean the blender etc. Luckily I had very knowledgable staff when I visited Melt Shop, although I have read reviews of poor experiences due to cross contamination. As ever, proceed with caution! I went to Tompkin’s Square Bagels last year on a craving for a New York bagel. They advertise and make a big deal out of offering gluten free bagels, which you can get a massive variety of toppings for. However, they are really lacking in the cross contamination department. They do not have a separate prep space, although they do clean the prep space and switch gloves if you notify them you are celiac or “have an allergy.” The prep space is open so you can watch them prepare, which is nice. However they use the same toaster as the gluten-containing bagels!! This is just a no-go. I ended up having an un-toasted bagel, which was still good, but not great. I would only recommend coming to Tompkin’s Square Bagels if you are A) not sensitive or celiac, or B) really really want a bagel and don’t care if it’s un-toasted. Butcher’s Daughter is a super trendy, kinda hipster, and ultra instagrammable cafe is known for brunch, but also stays open later for dinner. There are a wide array of gluten free options, from gluten free bread to pasta and pizza bases, too. Personally, I will say tread with caution and make sure to question your waiter here about cross contamination if you are celiac or sensitive. They seem to cater more toward those who are gluten intolerant with low sensitivity, and don’t have quite as much awareness of safe preparation. Nevertheless, I did eat here twice without issue, although the second time I requested a new waiter because my first one wasn’t knowledgeable about their cross contamination practices. 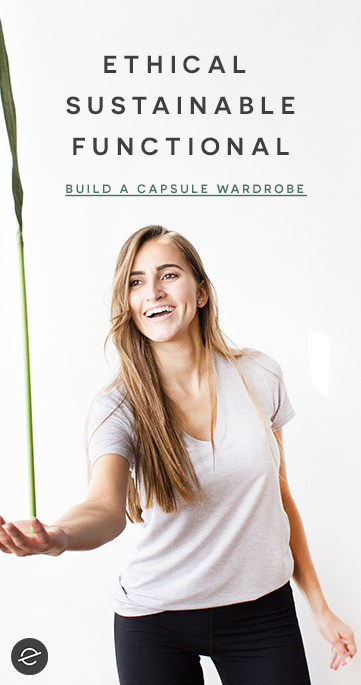 Sweetgreen is a healthy chain restaurant that specializes in serving salad bowls. The menu marks all gluten free items and you can find locations across the city. However, due to being a chain you also have to be aware that different locations will have different standards of cross contamination awareness. Also, be aware that it is a buffet-type set up (similar to Chipotle), which increases risk of contamination. I was not satisfied with my server’s knowledge on the gluten free options when we went (she was brand new and hadn’t been trained yet), so ended up getting some help from the manager. I ended up having a really great salad bowl and no reaction! So ultimately I had a good experience, but if you go just don’t be shy to question your server, as always. There are tons of other gluten free restaurants in NYC, and the market is growing by the week. Below are a selection of other NYC gluten free restaurants (both dedicated and non-dedicated) that based on my research through their websites, Find Me Gluten Free, TripAdvisor, and the lovely Erin’s database I think are worth checking out. Unfortunately, I haven’t had an opportunity to eat at these myself so I cannot vouch for them personally. However, they are all on my list to try next time! I have put a * by the restaurants that are 100% gluten free. Egg Shop – a trendy brunch restaurant with multiple locations. Has gluten free bread. Browns Bagels – Gluten free bagels! If you are staying in NYC for any extended period of time, you are probably going to do some grocery shopping. Nowadays you can find gluten free options at most grocery stores. However, these are my two favorite grocery stores in the US (and both are popular in NYC) for gluten free shopping. Tons of gluten free options here including many of the popular brands. You can also pick up a quick meal here. If you have Amazon Prime you can get a discount, too! Check Whole Foods NYC locations here. Another healthy grocery store with many gluten free options. I really like the Trader Joe’s brand gluten free items (the chocolate chip cookies are so good!). If you want a quick lunch they do gluten free salads. Check Trader Joe’s NYC locations here. The saying ‘it takes a village’ can definitely be applied to gluten free travel. My first step before I travel anywhere is to peruse the sites of some favorite gluten free travel bloggers for their recommendations. I find that these articles mean a lot more to me than anonymous reviews on TripAdvisor or even Find Me Gluten Free (an app that all gluten free travelers in the USA should download), because I trust these writers. So, of course I want to spread the love. You should really check out these bloggers’ gluten free restaurants NYC guides because they do mention places I haven’t covered here. Rachel of A Nesting Nomad – Rachel was the first gluten free travel blogger who I really started following along with regularly and now consider her one of my ‘internet friends’ – lol. She visited NYC a couple years ago and her gluten free NYC guide is exhaustive and helped me a lot! 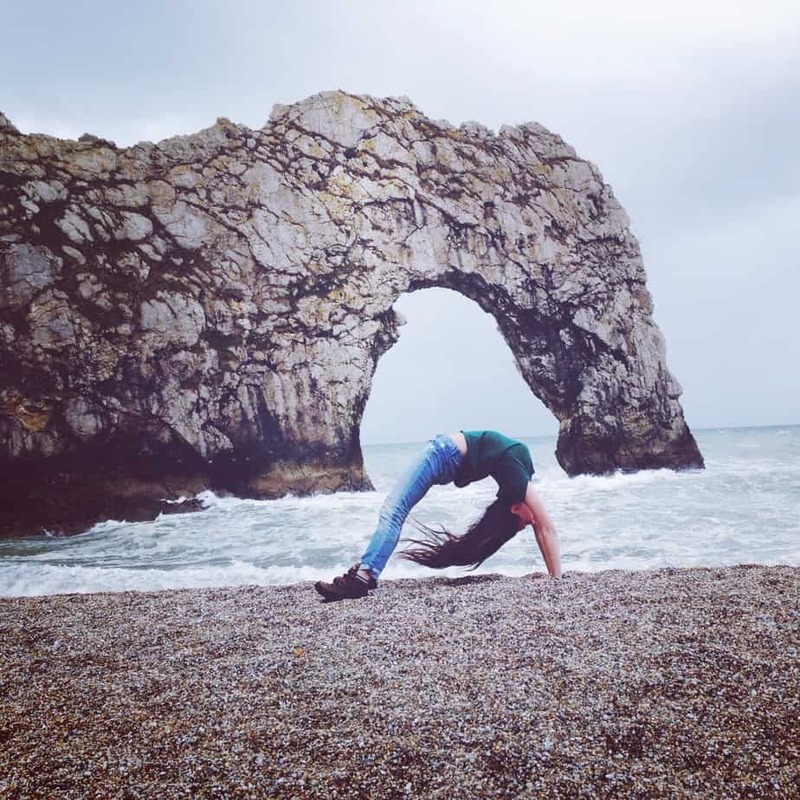 Erin of Gluten Free Globetrotter – Erin has been diagnosed celiac since 1981 and is a New York native. She really is the guru of gluten free NYC information. Her website is full of tips which she regularly updates, including her dedicated gluten free restaurants NYC post. Jodi of Legal Nomads – Jodi is another long time favorite gluten free travel blogger, both for her extensive GF guides and beautiful writing. I always buy my gluten free translation cards from her when I travel. Jodi previously lived in NYC and has a guide to 22 cheap gluten free eats in NYC. This is a map I’ve been working on for two (two!!!) years. Here, you can find all the gluten free restaurants listed above, as well as some of my favorite shops and tourist destinations in the city. Use this map on your phone (works without data), and easily find the closest gluten free restaurant to your location. I truly hope this guide helps you on your next trip to NYC! It really is one of the best cities in the world to visit if you are celiac, gluten intolerant, or otherwise avoiding gluten. And as long as this guide is, there are always new gluten free restaurants popping up. I will do my best to keep this gluten free restaurants NYC guide updated – hopefully with new reviews after my next trip to NYC! In the meantime, let me know your favorite gluten free restaurants in NYC in the comments! Did I miss any? *This post contains affiliate links. If you click on one of these links I may make a small commission at no extra cost to you. Thank you for supporting Endless Distances!